I Will Provide 30 Social Shares For Your Website URL . We will bookmark your Website / Blog / Youtube video url etc to 30 Top Social Bookmarking sites such as facebook , twitter , tumblr , delicious and many more . 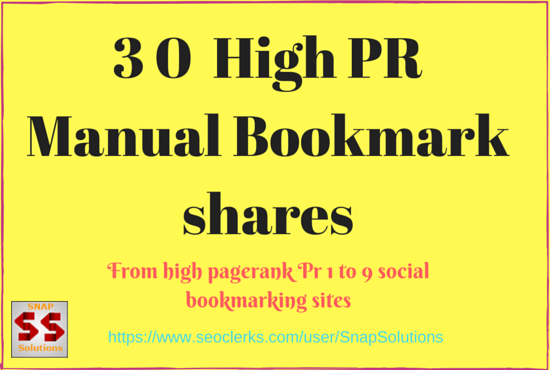 with High Pagerank Pr1 to Pr 10 .
you will get excellent social exposure . Provide 30 Social Shares For Your Website URL is ranked 5 out of 5. Based on 234 user reviews.